As central as the mind is to our existence, we understand very little about how it works; however, each year, we learn more about it and how it functions. The field of experimental psychology is the study of the human brain and cognitive processes, the factors and motives that influence personality and cause specific behaviors, the manner in which previous experiences help create current approaches to life, and the fundamental traits that comprise character. Over time, observations and studies have provided a fairly clear picture of the brain and psyche. It is the latter, the psyche, the psychological structure unique to each person, which interests experimental psychologists. These scientists build new theories based upon the data they receive from specific questions. With enough information, psychologists can begin to explain and even predict human motivations and behavior, which deepens our understanding of humanity as a whole. Using the scientific method to collect data and to perform basic and applied research, experimental psychologists conduct a series of rigorous experiments. The researchers ask a specific question, design an experiment to help answer that question, carry out the experiment on subjects, collect data, and draw conclusions from the acquired data. Upon completion of their research, experimental psychologists publish their conclusions and submit them to the scientific community for peer review. Doing so gives other experimental psychologists the opportunity to help determine the results of the experiment and learn more about human behavior. Depending on the specific interests of the individual experimental psychologist, the investigations can encompass a wide range of topics. Some experimental psychologists, for instance, may assess why their subjects engage in unhealthy behaviors such as smoking, drinking, overeating, or indulging in toxic relationships. Others seek to understand the correlation between thought and behavior, while others study the source of habits, beliefs, passions, and more. By learning more about human behavior, researchers can impart knowledge that can help both clinical psychologists and medical practitioners formulate the best mental health recommendations for patients. What Does an Experimental Psychologist Do? The vast majority of experimental psychologists design and conduct experiments with the intent of increasing the current body of knowledge related to the human brain and psyche. Some, however, perform psychological experiments on animals. In both cases, the ultimate objective is to understand some aspect of cognition, memory, learning, emotion, attention, sensation, or another facet of mental function. The mind is a complex entity, which means that experimental psychologists must use a comprehensive method of approaches and tools to learn its inner workings. At a fundamental level, though, all experiments share certain premises upon which the scientists base their data. First, psychologists must conduct experiments on a large enough sample size to enable them to be able to draw meaningful conclusions. Secondly, they try to ensure random sampling among the group of test subjects to produce results that are applicable to the general population. However, some procedures intentionally allow the subjects to self-select, such as those performed at colleges that request student participation in studies. At the conclusion of their investigation, experimental psychologists use a variety of methods to interpret the resulting data. Some adopt a numbers-based approach, while others closely examine the qualitative results. The psychologists examine the relationship between the independent variable – what each person brings to the experiment itself – and the dependent variable, which changes based on a subject’s background, experiences, and character traits. 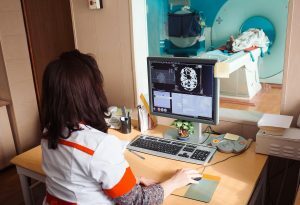 With this considerable variety in responsibilities, an experimental psychologist can work in diverse environments, and their areas of specialization can vary widely. Experimental psychologists are distinct from clinical psychologists in that their primary purpose is not to work with those who need psychological assistance, except when they are conducting research to help broaden their understanding of specific behavioral, emotional, social, or mental patterns and disorders. However, the experimental psychologist still works in many of the same settings as clinical psychologists. If their chosen population for study, for instance, includes those in mental health institutions, the experimental psychologist may work in these organizations alongside clinical psychologists. You can also find them at clinics, in hospitals, and at other health institutions, such as nursing homes, assisted living centers, or public health centers. Additionally, those studying the correlation between pharmaceuticals and human behaviors may work in pharmacies or drug treatment centers. Some experimental psychologists focus on specific cohorts, such as children, teens, young adults, or the elderly. Others may focus on patterns that arise from specific relationships, such as the relationship between parents and children, between spouses, or between caregivers and the elderly. Thus, you may find an experimental psychologist in a school, retirement facility, or another age-specific institution. Others frequent the workplace to learn more about how people function at work and react to different environments. Experimental psychologists who are interested in the legal system or in criminal justice can find career opportunities at police departments, crime labs, or government institutions. These psychologists may work to identify patterns among criminals and draw conclusions that can help lead to their capture and arrest. A number of experimental psychologists confine their pursuits to academia, where they teach on a part-time basis and carry out scientific research during the remainder of their time. That experimental psychologists can find employment on college campuses means a variety of opportunities exist for those still training in the discipline, since some sort of apprenticeship or clinical training is usually required to embark on a psychology career. In addition to the variety of jobs available in the field, the outlook for psychology jobs is very good. The average pay for psychologists, according to the Bureau of Labor Statistics, is $36.17 per hour, which translates to an annual salary of approximately $75,000. The profession is growing at a rate of 19 percent, which means that between the years 2014 and 2024, an additional 32,500 new experimental psychologists have already been hired or will be before the end of the decade. Those who graduate with degrees in research psychology will be ideally positioned to quickly find a position. On an everyday basis, most experimental psychologists allocate a large portion of their day to working with the subjects of their analysis, explaining the parameters of the study, carrying out experiments, and debriefing subjects afterward. In addition to conducting the tests, experimental psychologists also have to design them, collect the materials, garner support from students or colleagues, analyze the results, and compose scholarly papers for publication in peer review journals. Many also spend time writing grants to secure funding for future experimentation. Note that those who make a valid argument for research in the interests of public safety or positive mental health outcomes are more likely to receive funding. To become an experimental psychologist, candidates typically need, at minimum, a master’s degree. Those with a bachelor’s degree may assist other researchers in designing and carrying out studies, but they rarely have the opportunity to publish or to helm the experiments themselves. Earning a master’s degree provides more ownership over the process, while a Ph.D. — doctor of philosophy, the highest degree currently awarded in the field — positions candidates to assume a leadership role. Before enrolling in a master’s program, students, of course, must first earn a bachelor’s degree. If the earned degree was not in psychology or a related field, additional requirements must be completed at a post-baccalaureate level before the student can apply to a master’s program. Typically, a master’s degree is required to apply to a Ph.D. program, although in some cases, joint master’s/doctoral programs allow the student to merge the degrees in a seamless manner, so bachelor’s degree candidates can apply. Experimental psychologists are usually required to undergo a one-year internship with a practicing experimental psychologist before beginning their career. They may intern at the university where they currently study, or, if the candidate is earning a fellowship, upon graduation. While receiving certifications in specialized fields — for instance, certain diseases or populations — can increase the likelihood of career opportunities, certification usually isn’t required. However, a license is always required to practice experimental psychology. To learn more about getting your license, contact your state’s psychology board, which will oversee your licensing exam. If you don’t know how to find the board, contact a university psychology program, who can direct you to the appropriate governing body. Read more about an online psychology degree.